A USB presentation box should be simple and elegant to avoid cluttering what truly matters: your client’s memories. The Radiant is just that, a simple and beautiful package to offer your clients their cherished memories in a lovely wrapping. 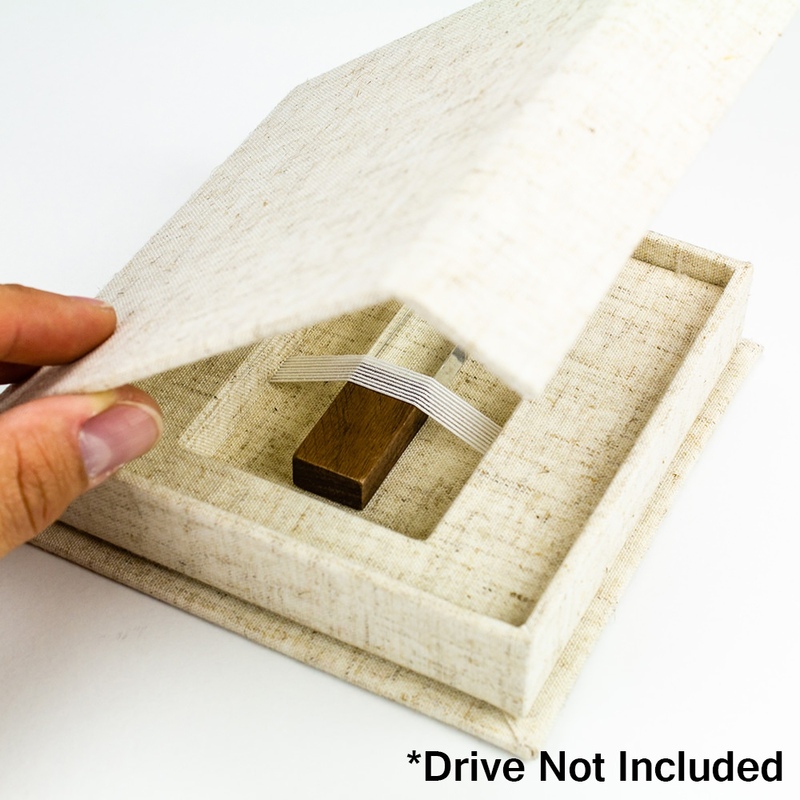 This box holds one flash drive (not included) securely in place with a matching elastic band. The magnetic closure lid keeps the USB tucked away. Add a personalized touch with custom printing on the box. 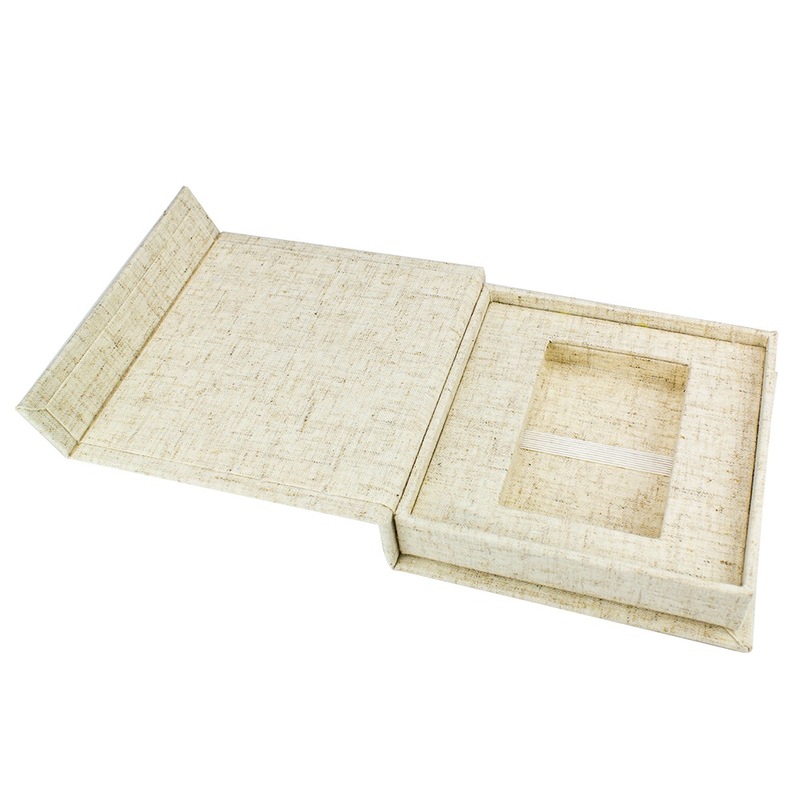 The Radiant fabric USB box is an excellent method of photo delivery to your clients. 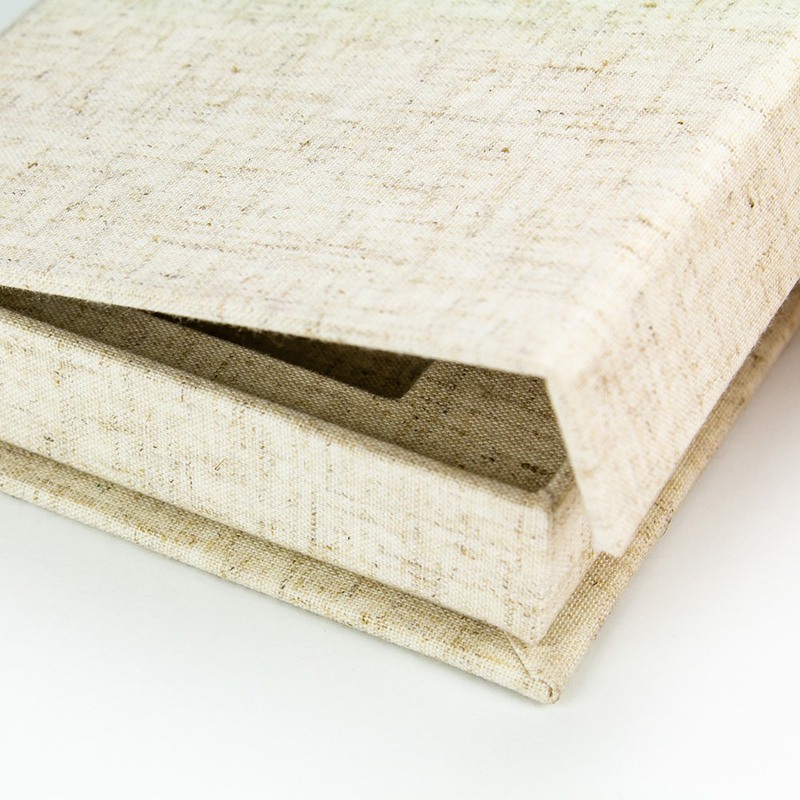 Its large square form is covered and lined with linen. 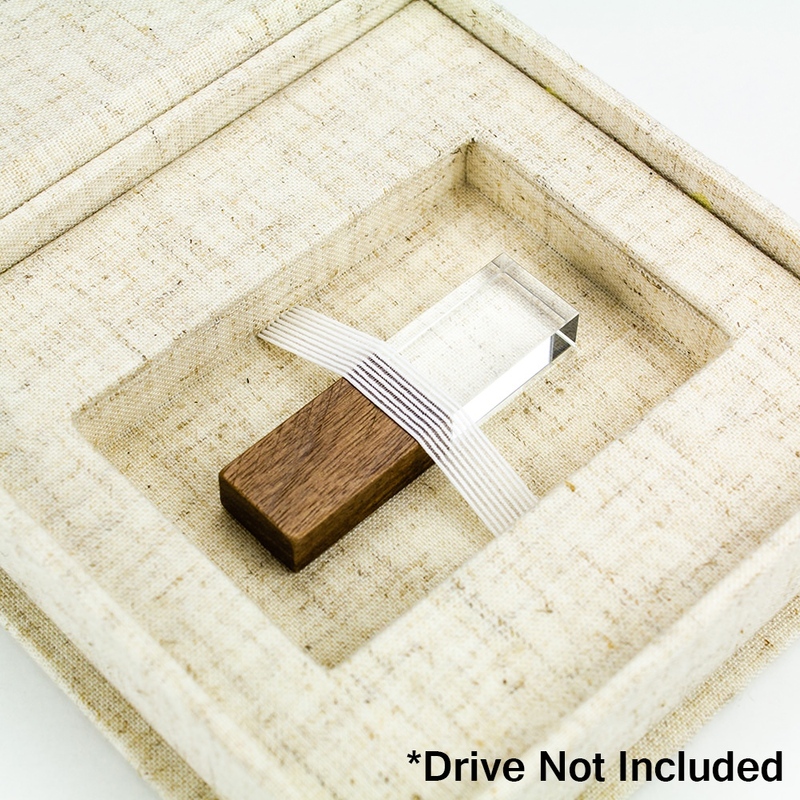 The flash drive is nestled safely within its own compartment, easily removed and replaced. It makes an excellent presentation piece for clients of all occasions. 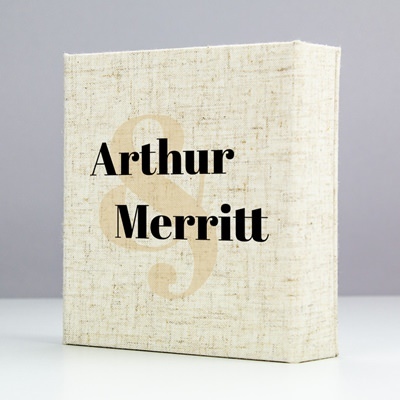 Custom print your logo or client’s monogram right on the box! Bulk quantities are available.